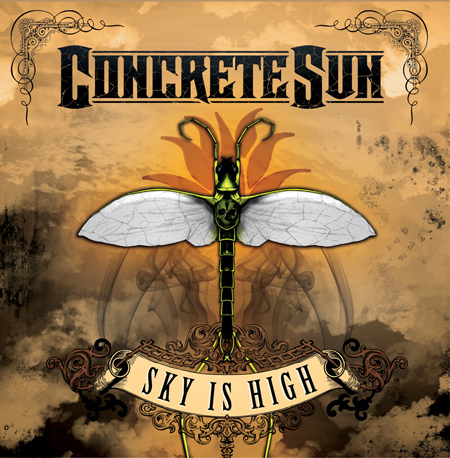 Imagine if you will, your ears being scraped alongside the rusty innards of a pickup trucks back end, now add the dull thud of a hangover, that is how this album made me feel and I hadn’t even drunk the night before. Now don’t get me wrong I love Southern Rock, from “Down” to “Black Stone Cherry”. But “Sky is High” left me wanting more, as if I had been sat in front of a buffet of Michelin star food and instead was made to eat dirt. The thing that annoyed me by far the most on this album was the lazy songwriting, for example, “D.A.N.U.B.E” and “God Forsaken Prostitute” are almost identical at the beginning, I may be being pedantic but since when has every other song on an album had to start with exactly the same chord, tone and tempo? We all love palm muting, but let’s not do a Zakk Wylde, who at least can pull off using the same technique over and over again. 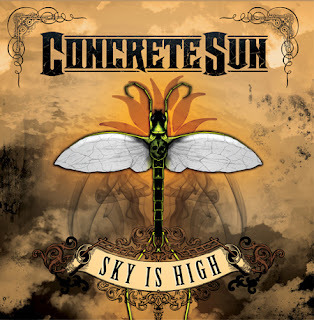 Concrete Sun suggest they have taken influences from “a blend of southern rock, blues, stoner, groove, sludge and grunge”, but that doesn’t mean they should have taken all those influences and turned them into one gelatinous lump. But enough of the terrible analogies, I will try and give some constructive criticism, firstly, the voice, either it was recorded badly or it just isn’t up to scratch, and I say that as there were points at which I thought the voice had a certain quality to it, but nine times out of ten it sounded like a bad mix of James Hetfield and M Shadows. The guitar-work is lazy; there is a lot of potential as sometimes I find myself picking out in the bottom of the mix a good lick and wonder whether it was lost in bad production or if nobody thought to say, look you CAN write, so write more like that three seconds just there. And my god where are the bass and drums? I had to strain my ears to hear the bass and when I did I was pleasantly surprised, the bassline was good, really good in fact, but I had to crank my sound up to find it. Overall then, the album is dull, lazy and perhaps quite typical for a debut release. It needs work, there’s good to be found, but it’s hidden amongst the muck.